Hey everyone! 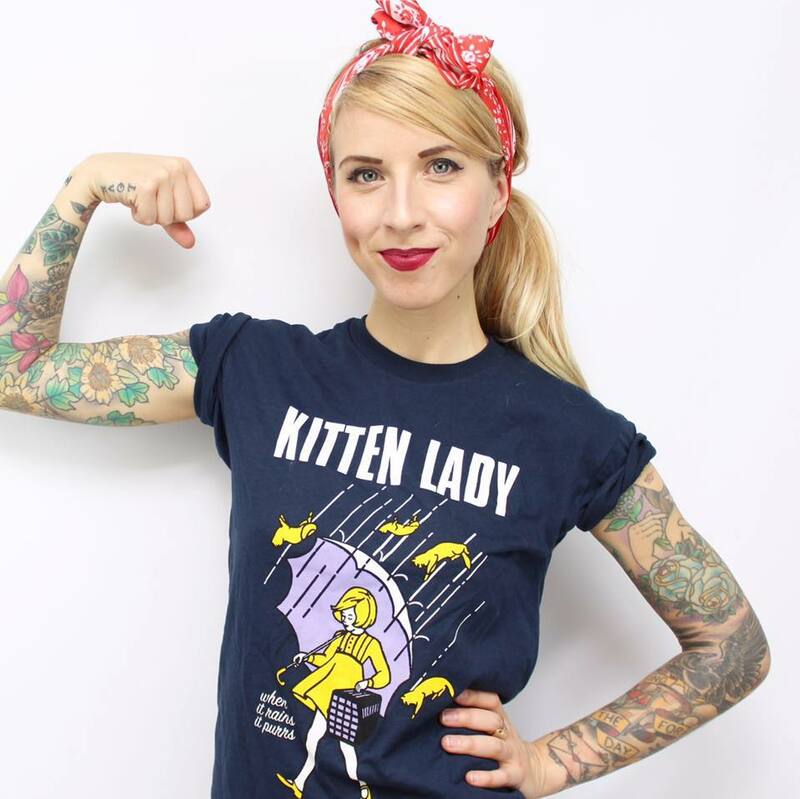 I’m Hannah Shaw, better known as the Kitten Lady – and I’m thrilled to be joining with meowbox as a contributor to The Scratch Post! 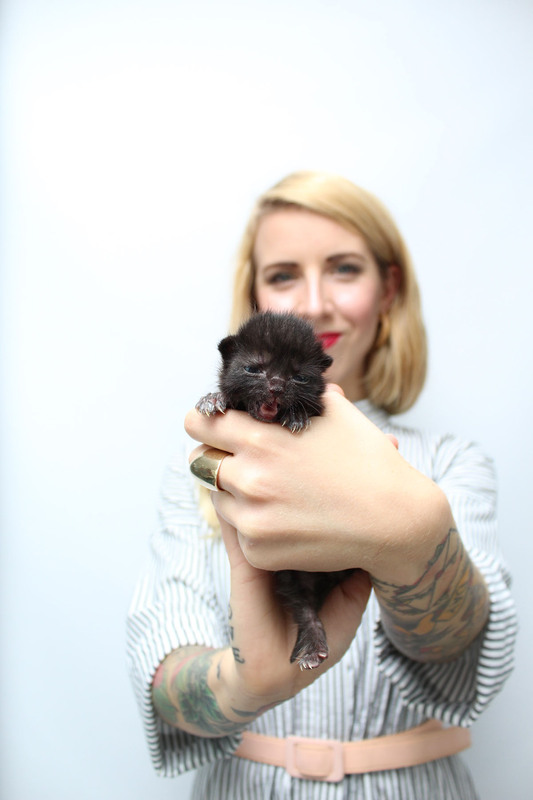 I run a project called Kitten Lady, which is a rescue and advocacy effort with a mission to protect the tiniest, most vulnerable felines. My passion is working with orphaned neonatal kittens, and educating others about how to do so, too! I’ll be sharing my kitten knowledge on the Scratch Post all throughout this kitten season. So, why do kittens need our protection? While it may be true that kittens are universally adored, a lot of people don’t realize how many serious and fatal challenges they face. Kittens under 8 weeks old are actually one of the most at-risk populations in most animal shelters, where the standard practice is often to kill them! With limited resources, most shelters simply opt to euthanize all underage kittens – especially those who come in without a mother. 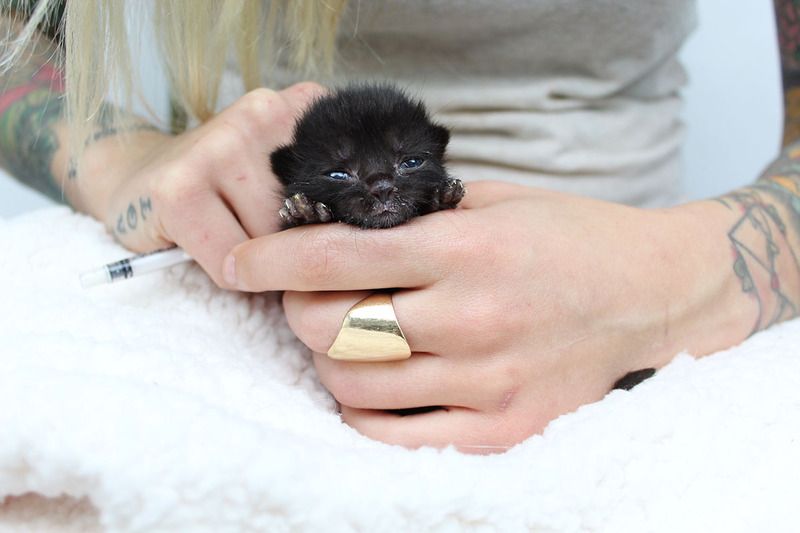 Even neonatal kittens lucky enough to find themselves in the hands of a caring individual are at risk, because so little is known about their vulnerable condition that people often struggle to save them. 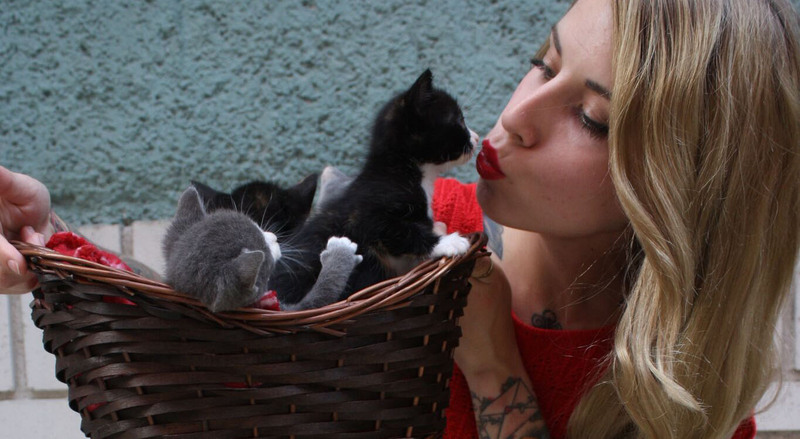 These kittens are considered to be in “hopeless” condition, but Kitten Lady is all about opening hearts and minds to the reality that these kittens actually do have so much hope! 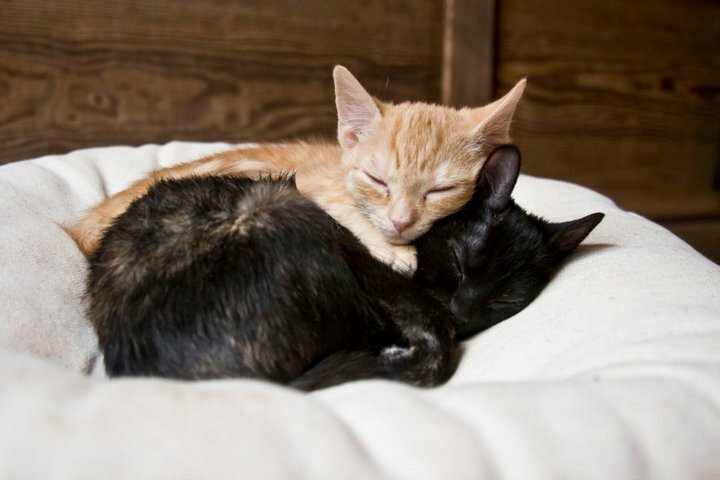 Every kittens’ life has value, and every kitten is worth saving. We just have to know how to do it, and we have to care. I got involved in kitten rescue by accident, and it changed my life forever. One fateful day in 2008, I was sitting under a tree in a public park, when I suddenly noticed two tiny eyes peering down at me. I squinted and couldn’t believe what I was seeing – it was a tiny kitten, just a few weeks old, stuck twenty feet high in a big oak tree. With reckless determination, I managed to climb up the side of a fence, onto a branch, and over to the kitten. I tucked her away in my shirt, shimmied back down, and was struck with immediate dread: how on earth was I going to care for this tiny orphan? I was horrified by how little information I could find about how to save her online and from veterinarians, but I learned everything that I could, as quickly as I could, and improvised the rest. Through trial and error, I hand-raised the kitten that would become my best friend, Coco. It didn’t take long for the phone calls to start coming. “I got your number from a friend of a friend who says you know how to save baby kittens…can you help?” People would bring me day-old kittens they found in an alley, under a porch, in the road. My eyes began to adjust to the world around me, and behind every corner seemed to be an orphaned kitten just waiting for me to discover him. I went from knowing nothing about kitten care to being a go-to resource for my community, and that’s when I realized how very few resources there are for kittens. The rest is history. Over the years, I’ve saved several hundred kittens who would have otherwise died outdoors, or been killed in a shelter simply for being too young. It’s been an adventure of cuteness, exhaustion, fun, and tragedy – but most of all, it has been heartwarming and inspiring. Nothing feels more satisfying than seeing a vulnerable kitten go from being left for dead to being given a chance to grow, to open her eyes for the first time, and to discover the joys of playing and snuggling. There is justice for kittens, and it starts with us giving them a chance. Kitten Lady is a resource of education and advocacy for kittens of all stripes – orphaned neonates, feral kittens, kittens with medical issues. If you care about kittens and want to learn more about how to help them, please take a moment to follow my adventures on Instagram, Facebook and YouTube. You can also make a quick tax-deductible donation at KittenLady.org/donate to help me in my mission to change the world for kittens! Keep an eye out for my upcoming articles about kittens on The Scratch Post, and happy kitten season!